Accidents can happen suddenly and when we least expect them. Tripping over a misplaced toy your child left on the floor, slipping off a ladder, receiving a ball to the face during a summer softball league game – any of these or other accidents can easily crack or knock a tooth out of your smile. But do not panic – if you are worried about what to do in case of a dental emergency, your emergency dentist in Larchmont Village is here with all the information you need to know. One of your very first steps after seriously injuring your mouth should be to call your emergency dentist. He or she will be able to talk you through immediate care steps and schedule an emergency appointment. However, there are some actions you can take before you arrive at the dentist’s office to prevent further damage and ease the pain. Dislodged tooth – First, try placing the tooth back in the original socket. If you cannot, then place the tooth in a container of saltwater or milk until you reach the dentist’s office. Cracked or broken tooth – Rinse your mouth with warm water to clean the area and press a bag of ice or a cold compress to your face to reduce swelling. Save and rinse any broken tooth pieces; your dentist will try to reattach them if possible. Toothaches – Clean your mouth out by rinsing with warm water. Foreign objects stuck in your mouth – Try to gently remove with floss. Never use a sharp or pointed instrument to try to remove objects that are stuck. Following these simple steps can help relieve pain and hold you over until you make it to the dentist’s office or emergency room. Avoid chewing on hard foods like popcorn kernels, hard candy or ice cubes, since they can easily crack a tooth. Do not use your teeth to cut, tear or open packages. Scissors were invented for a reason! 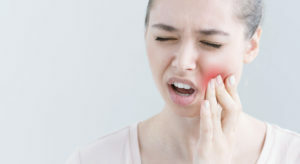 However, if the unavoidable happens and you do injure your mouth or teeth, do not hesitate to pick up the phone and call your emergency dentist in Larchmont Village. After graduating with a degree in dental surgery, Dr. Benjamin Geller went on to specialize as a prosthodontist, completing a 3-year residency with a focus on implant dentistry, cosmetic dentistry, and full mouth reconstruction. Together with his wife, Dr. Gloria Garcia-Geller, Dr. Geller and the team at Geller Dentistry have the skills and experience to meet all your dental needs, including assistance in case of a dental emergency. To learn more, visit the Geller Dentistry website or call the office at +1 323-467-1472.